It’s always great to read about our communities from the perspective of local residents. My thanks for Sunday Olukoju for his wonderful article! Fort Richmond is close to everything a family could need — several daycare centres, elementary schools, middle schools, high schools, and, of course, the University of Manitoba, Manitoba’s largest and Western Canada’s oldest university. It is also close to Sobeys, Superstore, Shoppers Drug Mart and several banks and credit unions. Among several immigrants adjusting well to Fort Richmond is the Oluwasegun family, who are living and settling in Fort Richmond, where they recently welcomed their third child. They testified to the atmosphere of love they enjoyed almost as soon as they landed in Winnipeg. Dr. Kunle Oluwasegun currently works at the University of Manitoba as a research associate in the department of mechanical and manufacturing engineering, where he investigates advanced joining technologies in the structural repair of aerospace materials. He is a versatile academic who was been a research fellow at Rolls-Royce in the U.K., a research fellow at the University of Birmingham, in the U.K. where he completed his PhD, and where he later served as a post-graduate tutor. He later moved to Obafemi Awolowo University in Nigeria to teach for several years before migrating to Canada. Kunle’s wife, Priscilla Oluwaseun Oluwasegun, worked as a registered nurse in the U.K. before immigrating to Canada. She says she likes her new community and she is settling down to continue her nursing career in Winnipeg. The couple’s first two kids, Ewaoluwa and Erioluwa, still speak happily of their first summer day camp at Immanuel Fellowship, where they met many new friends. 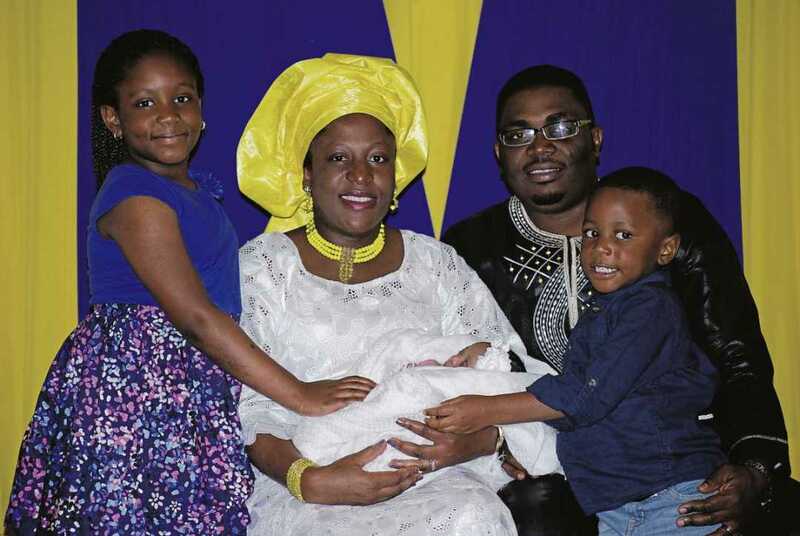 The family is blessed with a new baby girl, Ebunoluwa, and Dr. Oluwasegun says Canada is now their home. SOU’WESTER PHOTO: The Oluwasegun family has settled nicely in Fort Richmond after immigrating from Nigeria. Read more by Sunday Olukoju – Community Correspondent.